Lean It. I do this all the time! Get it out of your head that art actually needs to be mounted and hung. 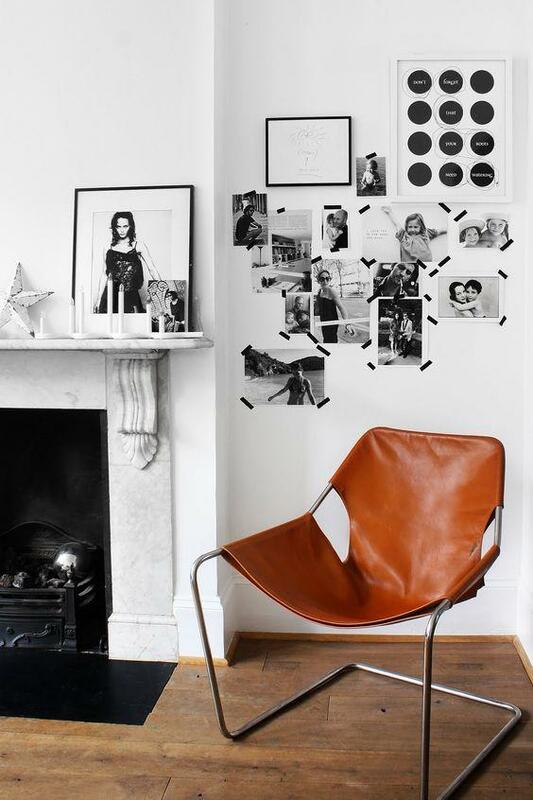 Even an unframed canvas can be leaned against a desk or table, and then you can add other, smaller pieces around it. 2. Clip It. I’ve always loved the idea using of clipboards as frames, I usually see this in children’ room decor, but if you can get your hands on some sleek black clipboards (like these handy dandy ones from Uline), all you have to do is clip your artwork on, and then the clipboards are so light that the tiniest of brads will hold them up. You may want to put a tiny piece of double-stick tape on the back of the bottom of your art to hold it down. 3. Try a folding screen. Walmart (yes, Walmart, which I actually think is extremely underrated when it comes to cheap and chic decor, if you know exactly what you’re looking for, it can be a real treasure trove, honestly!) has a DIY canvas folding screen here. You could easily paint it with chalkboard paint, it’s a canvas screen so I’m not sure how the graffiti would look but you could easily tack up a collage on the board, as much or as little artwork as you want to. This has the added benefit of covering a lot of space, and the screen comes in several different sizes. 4. Use Washi tape: Black washi tape is a fabulous way to add an extra edge to your artwork display. You can get washi tape in all kinds of colors and styles, which can help add an extra pop of color to your display, or if you prefer to stick to the graphic black and white, washi tape like this is easy and inexpensive, one roll could easily be used to display a whole wall of artwork. I like taping the artwork diagonally on the corners of the artwork, but it also looks cool with a rectangular strip at the top and bottom. Keep in mind unless your artwork is laminated or super glossy the tape may damage the photos when removed, so use copies or prints on anything you don’t want to possibly ruin. 5. Keep it simple. As evidenced here, the cool thing about graphic black and white art means you don’t necessarily to have a lot of it. This styled corner looks amaze even with 3 small pieces, and these are probably just taped up with double stick tape. If you’re going this route, take your art to Kinkos or a copy shop and have it printed on a high-quality laser printer with gloss or semi-gloss photo paper, this will be much sturdier for simple hanging than just plain paper which can wrinkle, crease and tear. 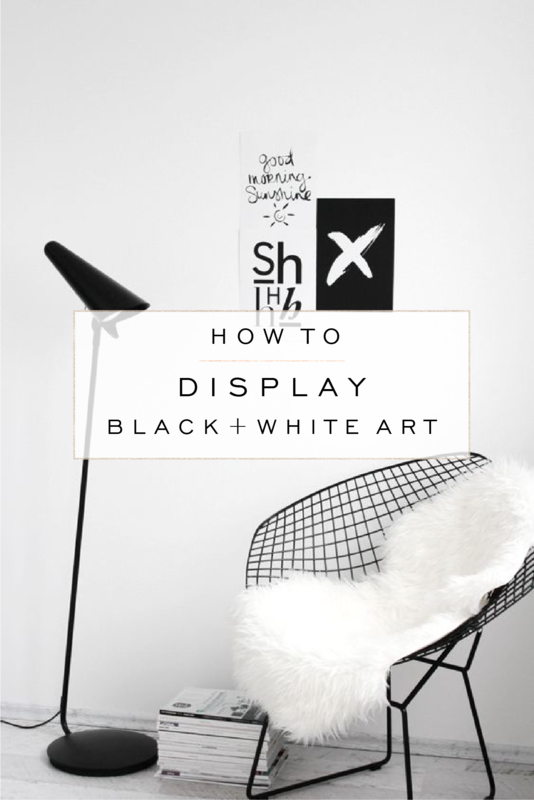 Decorating with black and white art is easy, fun and there are tons of ways to DIY it. As a blog designer, I also love nothing more than a clean, crisp black and white custom blog design, there’s something about the clean white spaces and bold black lettering that makes your blog posts pop off the page. 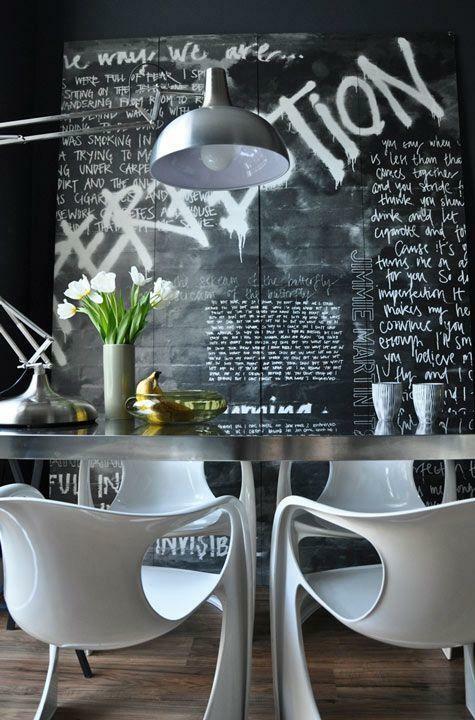 Interested in translating this decor look to your own personal web space? Hop on over to our blog design page and check it out! 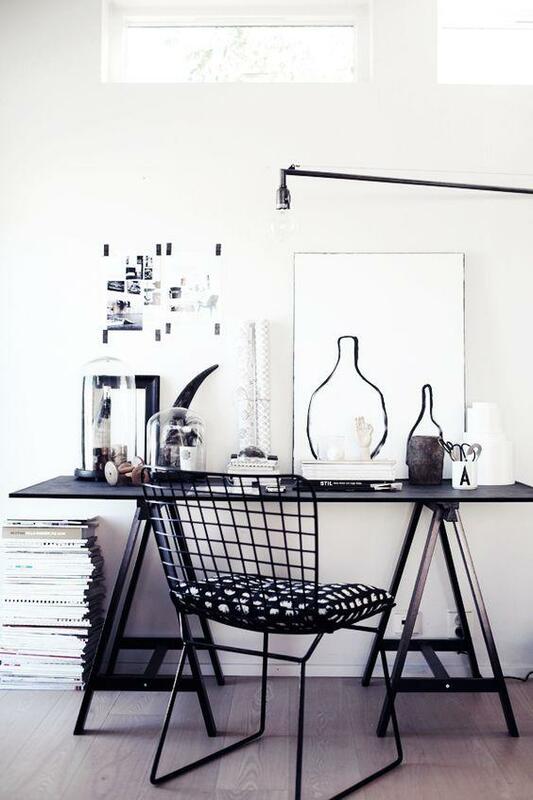 And I’d love to hear any other ideas you guys have on decorating with black and white! I love your idea of the folding screen, it looks unique. Lovely. Thank you! 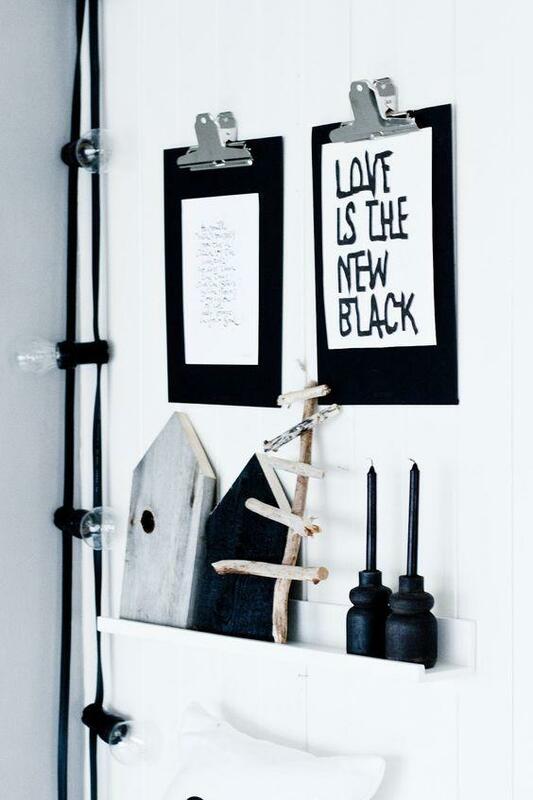 I love that idea too, you could make one with chalkboard paint. I have gotten some really cool folding screens from Overstock actually, they really add a lot to the decor and do a good job of hiding stuff like cable boxes, etc. Thank you for reading!